Last night I made a wicked spicy chicken curry, one my mother would've loved. It's her birthday today and I am thankful that even though she had a short life, she lived long enough to teach me the important things. Not that I always listened to her. Far from it. I mean, I was the kid that got a spanking almost every day for something or the other from the time I turned six until I was twelve. Still, as my good friend Jen Heger puts it, I might not remember the words, but I sure do remember the tune. So I've learned to trust in the Lord, be thankful for what I have, and be more generous. I am more like my mother now than I ever thought I'd be, and I'm sure this must please her immensely. It makes me happy. I am preparing for Thanksgiving, my favorite American holiday, with its focus on thanks and giving. I have a grateful heart. I am blessed beyond my hopes and dreams. Thank you to all who read these words that I put out in cyberspace. Thank you for reading, for commenting, for writing me privately. I hope you shall all have a blessed Thanksgiving with your family. 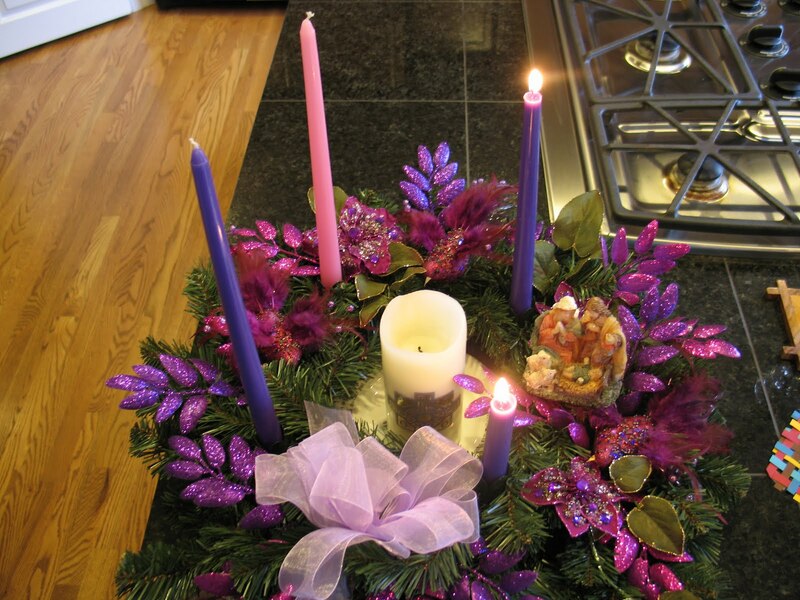 This is also the time when I turn more inward -- something about preparing for Christ's arrival does that to me and at heart I'm an Easter gal -- so Advent takes on almost the same quality as Lent. Adios amigos y amigas. If I don't touch base before the New Year, let me wish you all a most blessed Thanksgiving and Christmas. This time last year, I, along with my husband and two children, was accepting Christ in my life, not fully aware of what it means to be Catholic, yet putting my trust in Him. After that, the priest said the following words as my sponsor made the sign of the cross over my ears, eyes, lips, etc. Receive the sign of the cross on your ears, that you may hear the voice of the Lord. Receive the sign of the cross on your eyes, that you may see the glory of God. Receive the sign of the cross on your lips, that you may respond to the word of God. Receive the sign of the cross over your heart, that Christ may dwell there by faith. Receive the sign of the cross on your shoulders, that you may bear the gentle yoke of Christ. Receive the sign of the cross on your hands, that Christ may be known in the work which you do. Receive the sign of the cross on your feet, that you may walk in the way of Christ. I wept. These words and the sensation of having my hands and yes, even my feet blessed, was overwhelming. I was full of fear and love and trust. Fear, because it's not easy to be a Christian. But there's love and trust knowing that God will give me the strength and courage to do whatever He asks me (even if I am reluctant). Today, I blessed a young woman who is making the same journey. When I knelt down to bless her feet, it was like touching the feet of Jesus. Yes, it was I who was being blessed a hundredfold. Isaiah 43:1: I have called you by name, you are mine. One thing I don't like about writing novels is that they consume me too much to work on shorter projects. So, although I do get ideas out of my head by putting them on paper, I don't polish them up for submission. However, a few months ago, I submitted a piece to Bylines Calendar because I really, really wanted to have a writing calendar filled with stories and anecdotes about writing life. And I just found out that my piece was accepted! Can you guess what it's about from this picture? Taking naps. Now you know what a lazy bum I truly am. I should polish more of those short things to send out. 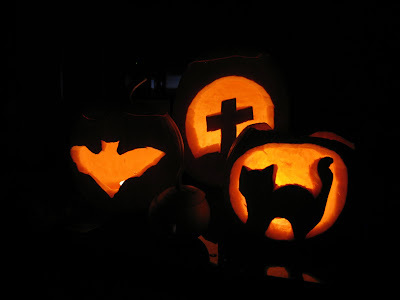 I confess that this year I have not made my submission quota of one-a-month. Too much napping? But ... the novel is taking shape and I am done with the revisions on the first third of my book. It is out in today's mail. So I am happy. I've been moving forward as well, so I have half of the next chapter already done. I hope to get the rest of it done by today. Tomorrow night, I will go to the University of Washington to speak about magazine writing. I was looking through all my notes and I should practice what I preach. 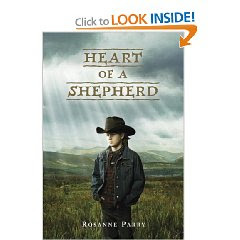 Rosanne Parry's debut novel, Heart of a Shepherd, is luminous. I mentioned it in my last post, but I want you to take a good hard look at that cover. There is space for a gold or silver sticker! 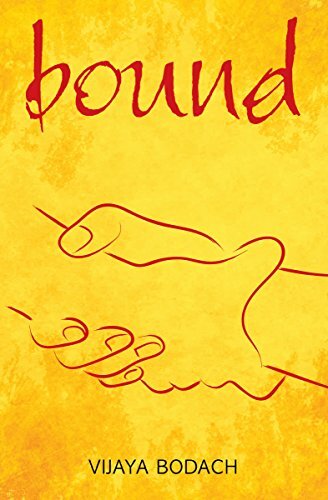 Aside from the fact, that this story is about 12-year-old Brother (his Christian name is Ignatius) is left on the ranch with his grandparents while his father is deployed to Iraq and his older brothers are at school or in military training, it is a story about discovering what you are called to do, and then answering the call. This is one of rare books in which there was no villain. Each character burrowed into my heart. Every scene rang true -- playing chess, playing war at school, praying at the church, ranch life. I especially loved reading about how a small community comes together to build each other up in a time of crisis. And for a short while, I was part of this community as well. I have a feeling I'll be reading this book again. Donna was having a free verse poetry contest (and no, I didn't win, but do go read the winning entry. It's wonderful.) and I entered three poems, all on firsts. Thought I'd share here. All true stories. Go sailing in the sky. Go floating in the sand. But I saved my skin. with a string on one leg. We hop down the street. Poems are what I write when I transition from nonfiction to fiction. Something about word-play frees me to be more imaginative. However, as I find myself writing mostly nonfiction poems, either little snippets of memory or facts I find fascinating. Many of these poems have been published, become seeds for short stories or even longer works. So give poetry a whirl. You don't know where it might lead you. And it's fun and freeing. 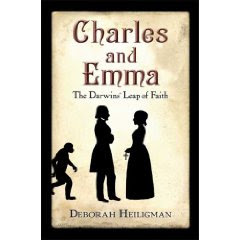 I'm just finishing up CHARLES AND EMMA: THE DARWINS' LEAP OF FAITH and I will be sorry to leave the Darwins. This is a love story, written with great love by Deborah Heiligman. It begins with Charles Darwin making a list whether he should marry or not marry! The entire book makes use of diaries and letters and Heiligman's narrative is seamless. It's a book that combines science, religion and love. And it's an NBA finalist! No, that's not basketball ... but the National Book Award. In her author's note, Deborah says the book is a love letter to her husband, Jonathan Weiner, who started this whole thing. I do love a good love story. I feel the writing world is small. I'd read Weiner's book, His Brother's Keeper, a while back but never bothered to find out anything more about the author. Had I bothered, I'd have discovered Deborah's books even earlier. Such fun to make even these small discoveries. I'm very pleased with how my writing/revising is going right now. I've chopped off all the parts related to a minor but crucial character. The manuscript is rather choppy now and I have to smooth out my transitions, but already I see it's going to be better. Sometimes less is more. The reader doesn't need to know everything just yet. Look what the old cat dragged in! Don't they make a great pair? 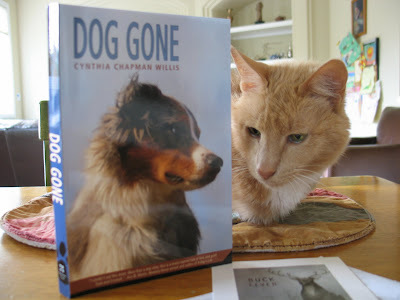 Dog Gone is Cynthia's debut novel. In the corner, you can see the postcard for her latest book, Buck Fever, and it is to celebrate its release that I entered her contest. I was a winner. My name never gets picked out of the hat. So I am doubly pleased. My eight-year-old daughter grabbed it, but she has to wait until she finishes her homework. Sigh. If she just buckles down and works for 30 minutes, she'll be done. I have the incentive. She's actually pondering her homework across my desk as I type this. I read the ending to make sure the dog doesn't die. After reading Where the Red Fern Grows, my kids refuse to read any dead dog books. 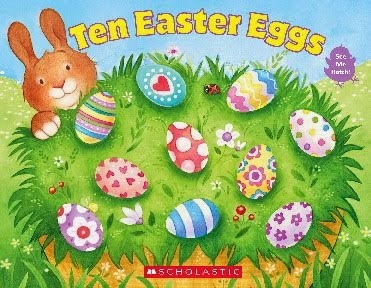 So if you have a kid with the same sensibilities, fear not. Dog Gone has a sweet ending. It's been a lovely weekend. And I especially like the service for All Saints/Souls at church. 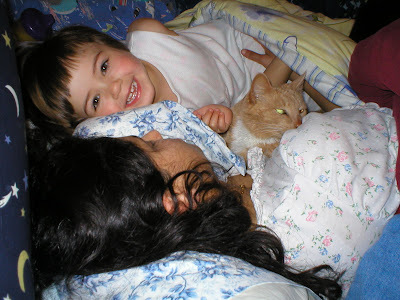 My mother and brother are never far from my heart, but today I remember all the others whom I've known and loved. I imagine them all together. Joyful. In the company of all the Saints. We are called children of God. Called for a purpose. Because our destiny is heaven. 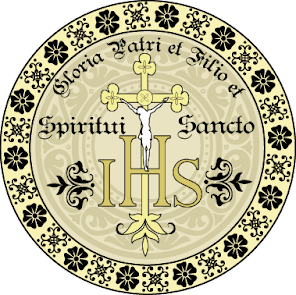 Blessed are they who suffer persecution for justice sake, for theirs is the kingdom of heaven. Jesus turns everything upside down. I never, ever understood the first one until now. I don't want to be poor in spirit. But what it means is to be less of yourself so you can be more like Christ. Less ego. In the end it comes down to "Not mine but Thy will be done." Again and again I have to learn this. Every. Single. Day. I confess it's not easy to follow Jesus, but I shall die trying. Which of these beatitudes are the most difficult for you to understand? Or live by?